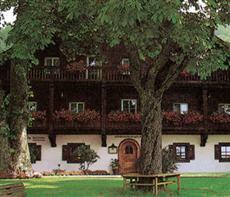 The Die Gersberg Alm Hotel is perfectly located for both business and leisure guests to Salzburg. All hotel's guestrooms have all the conveniences expected in a hotel in its class to suit guests' utmost comforts. Each guestroom features amenities such as non smoking rooms, bathrobes, desk, hair dryer, separate shower and tub, mini bar, balcony/terrace, satellite/cable TV.Hotel facilities offered at this Salzburg accommodation include 24hr room service, bar/pub, restaurant, business center, pets allowed. In addition, the hotel's guests can enjoy the leisure and sports facilities provided on the premises: jacuzzi, sauna, tennis courts, outdoor pool. With elegant facilities and hospitality, guests at this hotel will surely have an impressive stay. To reserve a room at the Die Gersberg Alm Hotel, simply select your dates of stay and fill in our secure online booking form.